– Which methods create objects of a particular class? -Which methods assign a particular field? -Which complex method is not enough commented? JArchitect provides more than 80 metrics that are related to your code organization, code quality and code structure. These metrics could be used in CQLinq to create your coding custom rules, JArchitect could be integrated into your build system to enforce the quality of your codebase. The dependency graph is very useful to explore the existing codebase, we can go inside any project, package or class to discover dependencies between code elements. 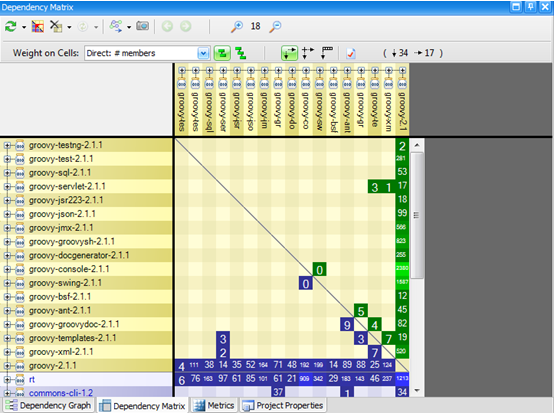 The DSM (Dependency Structure Matrix) is a compact way to represent and navigate across dependencies between components. DSM is less intuitive but can be very efficient to represent large and complex graph. We say that DSM scales compare to graph. With treemap rectangles represent code elements. The option level determines the kind of code element represented by unit rectangles. The option level can take the 5 values: project, package, type, method and field. The two screenshots below shows the same code base represented through type level on left, and namespace level on right. If a CQLinq query is currently edited, the set of code elements matched by the query is shown on the treemap as a set of blue rectangles. It’s very helpful to see visually the code elements concerned by a specific CQLinq request. In software development, products are constantly evolving. Hence, developers and architects must pay attention to modifications in code bases. Modern source code repositories handle incremental development. They can enumerate differences between 2 versions of source code files. JArchitect can tell you what has been changed between 2 builds but it does more than simple text comparison. It can distinguish between comment change and code change, between what has been added/removed and what has just been modified. With JArchitect, you can see how code metrics are evolving and you know if coupling between components is increasing or not. JArchitect can also continuously check modifications to warn you as soon as a breaking compatibility changes. 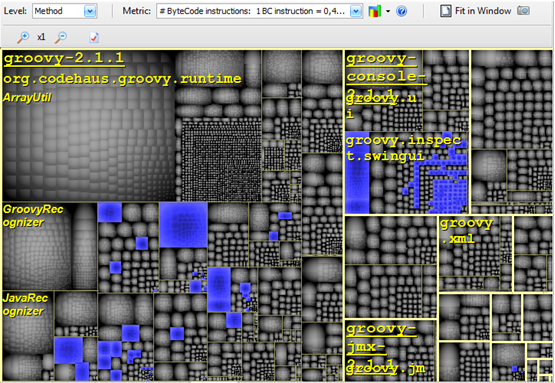 JArchitect can analyze source code and Java Projects through JArchitect.Console.exe. Each time it analyzes a code base, JArchitect yields a report that can inform you about the status of your development. You can customize sections shown in the report and you can even provide your own XSL sheet for full customization. You can also build your own set of CQLinq constraints that will be checked at each analysis. The report will warn you each time a constraint is violated. This feature makes automatic design and quality regression test a reality. 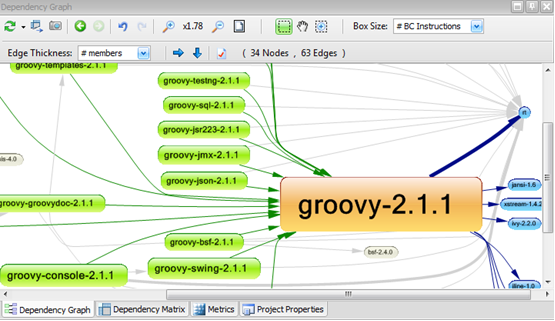 JArchitect provides a pro license to all open source Java contributors. It could be useful to analyze their code base. So, if you would like to give it a try, check here for more details. Happy coding!